There really couldn't be a better mug rug for a coffee lover than a cup of coffee, right? Have fun with this little project, using up favorite scraps of fabric to make not one, but two, three, or more little mug rugs! Finished size: Approx. 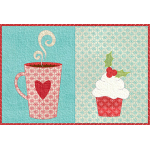 9" x 6"
Mug rugs are a great way to swap with other quilters, or perfect as a hostess gift. This little mug .. 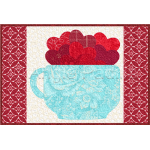 Dress up your table and make breakfast fun for the kids with this whimsical placemat! 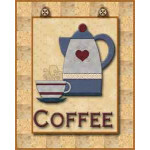 And if you j..
Fast and fun, this little mug rug makes a great little gift!Finished size: 9 x 6"This pattern is ava.. 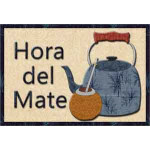 Here's a little something for all our friends from way down south... in South America.A "mate" is a .. 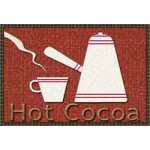 If coffee or tea just isn't your thing, then hot chocolate must be the perfect drink for you! 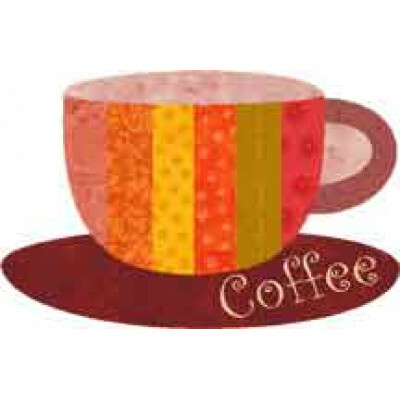 Rest..
A sweet little cup full of love is the perfect gift for you favorite Valentine!Finished size: 9 x 6"..